My fiancé and I moved in to No.42 in July 2016. The house is a 1930s 3 bed semi detached that hadn't been renovated since the 60s. Every wall and ceiling had wallpaper on it. 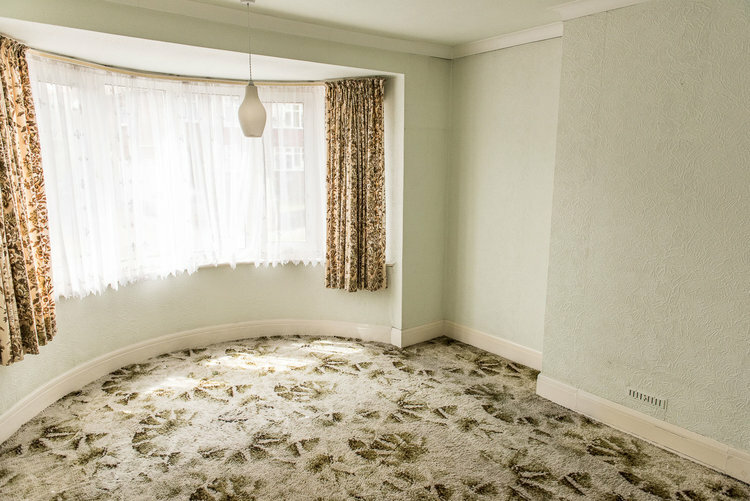 There was no central heating, and the carpets were nothing short of 'shag pile psychedelic', really. Our mission is to renovate this house to become a simple, humble home full of warmth and some charm thrown in. We're tired of waiting for the dream of "retiring to the country" to come along, so we're creating our own "farmhouse inspired" home here in the city of my birth – Brighton, Sussex. We hope our home renovation stories help you with your projects! MUST READ: How much does a renovation cost?